US President Donald Trump has come out against the removal of Confederate monuments, as activists seek to tear down what they call symbols of the country’s racist past. The president repeated the point he made in a controversial press conference on Tuesday, that protesters who want to take down monuments to Confederate generals Robert E. Lee and “Stonewall” Jackson today may demand the removal of George Washington or Thomas Jefferson tomorrow. The country’s first president and the author of the Declaration of Independence were both slave-owners. 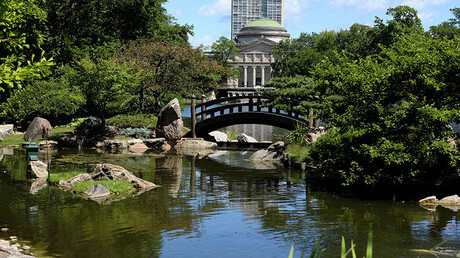 A pastor in Chicago, Illinois has already asked the city authorities to change the name of a park currently named after Washington, as well as another that bears the name of Andrew Jackson, the seventh US president. His statement comes after several cities across the US decided to remove Confederate monuments following the confrontation between white nationalists and 'antifa' counter-protesters in Charlottesville, Virginia over the weekend. 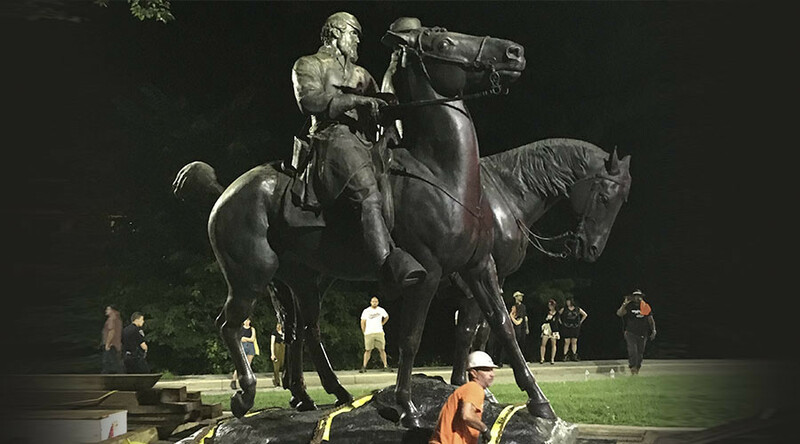 Baltimore, Maryland had contractors remove four statues in the middle of the night on Wednesday. On Tuesday, protesters in Durham, North Carolina toppled a monument to Confederate soldiers outside a courthouse. One activist was later arrested. In Atlanta, Georgia, activists attempted to tear down a Peace Monument featuring a Confederate soldier surrendering, but were stopped by police. One activist was injured by a piece of the statue that was broken off. A judge in Georgia was suspended this week, after he compared the removal of monuments to the actions of Islamic State (IS, formerly ISIS/ISIL) terrorists and their destruction of non-Islamic art. Although Trump unequivocally condemned the racists, neo-Nazis and Ku Klux Klan (KKK) marchers, he also called out the "alt-left” counter-protesters that engaged in violence in Charlottesville, to the chagrin of most US media and many leading members of the Republican party.